Garnier is a well-known brand that formulate skin care and hair care products. 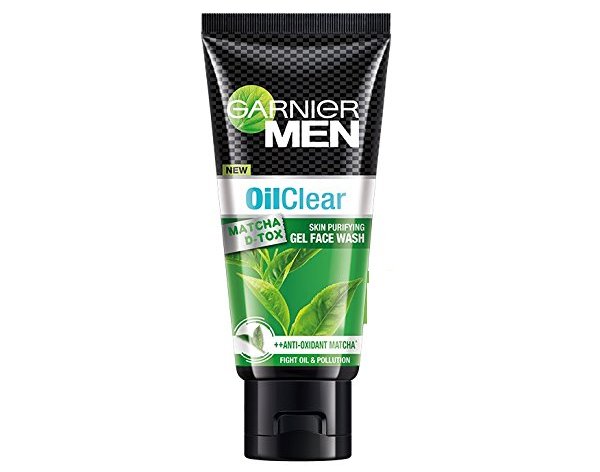 Garnier men’s range is extremely popular amongst Indian men as they make face washes, shampoo, face creams etc. 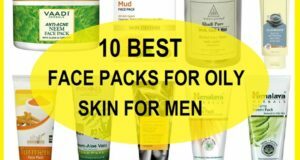 In this post, we will be sharing the best Garnier face wash for men and why they are useful for particular skin type. 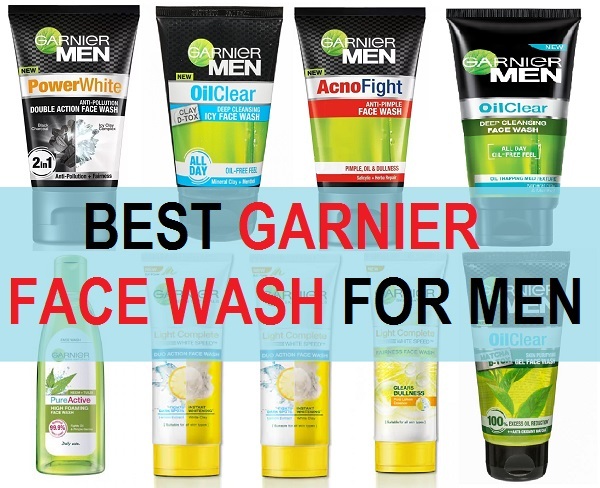 Let’s have a look at the different Garnier face washes that are available in the market which men can try for different skin types and skin problems. 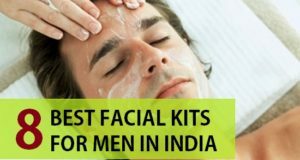 In this we have also mentioned, about the each face wash and whom it will suit and why. 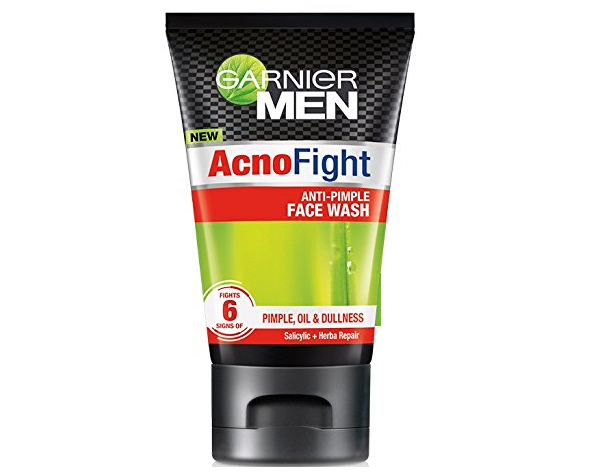 Garnier Acno Fight Face Wash for Men is rich in salicylic acid and herba repair formula that is why this face wash is perfect for men with pimple prone skin. This contains the ingredients that treats the major acne problems like oiliness, clogged pores, dullness etc. Micro exfoliating beads in this helps in unclogging the clogged pores to remove the blackheads and whiteheads. It further aids in regenerating the skin cells to make the skin look healthier. Its formula leaves skin flawless and removes the acne causing bacteria. This next option is a power white double action face wash. What does that mean? 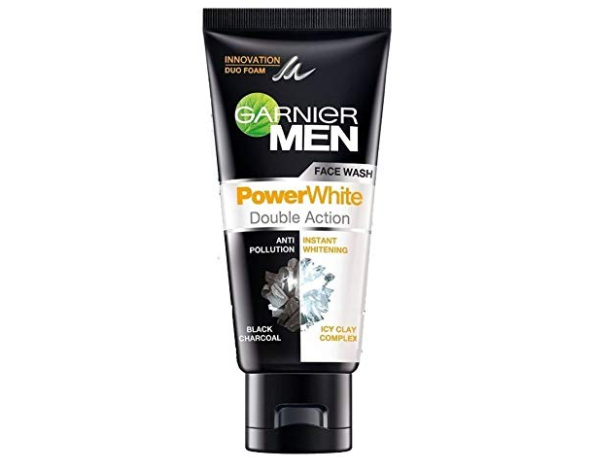 This means that this men’s face wash has a double action that works on pollution and like an instant whitening face wash. 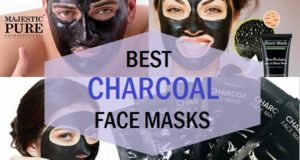 This face wash contains black charcoal that eliminates the pollants and toxins from the skin. It has Icy clay Complex that whitens the skin and brighten the skin tone. 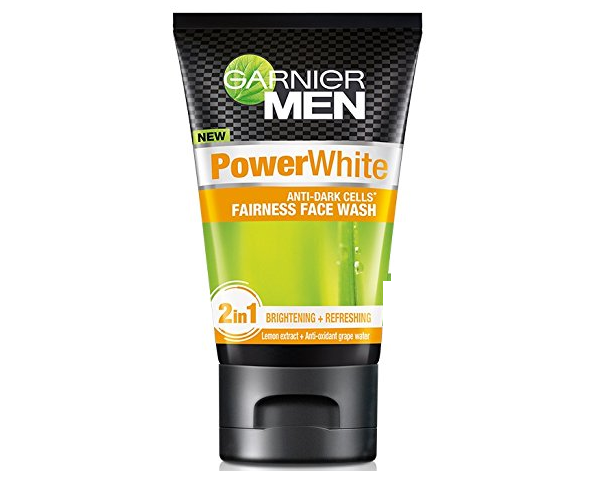 This Men’s face wash from Garnier is very affordable and one of the best face wash for oily skin that requires fairness. Garnier Men face wash with Matcha Detox has the extract of matcha green tea. It is a skin purifier face wash that helps to revive the dull skin complexion and instantly brighten it. This contains the antioxidant matcha green tea and the oil fighting and pollution eliminating ingredients. Green tea is loaded with 100 times more antioxidants than the regular green tea. This is why this face wash is one of the best for oily pimple-prone skin tone in summers. This next face wash for men has deep cleansing Icy clay that revises the dull skin. 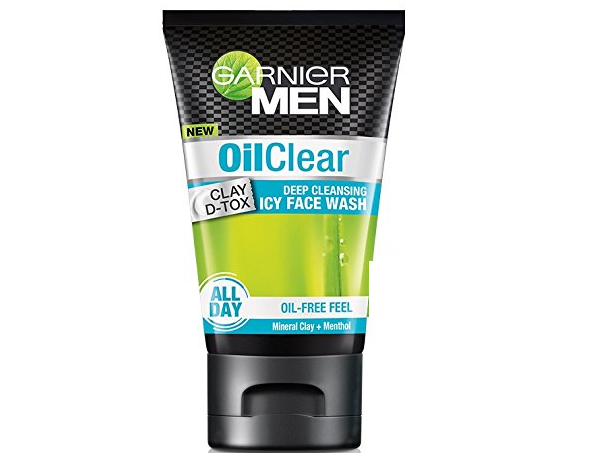 Garnier men’s face wash is an oil clear face wash that is formulated for oily skinned boys. It has clay Detox which means it contains mineral clay that keep your skin oil-free by absorbing the excess oil from your skin. It also contains menthol that cools and soothes the sensitive irritated skin. While this face wash eliminates darkness and oiliness, it also makes the skin tone brighter and smoother. This Garnier face wash is not just for men but for everyone. It is a neem face wash that contains the antibacterial neem which fights pimples and marks. 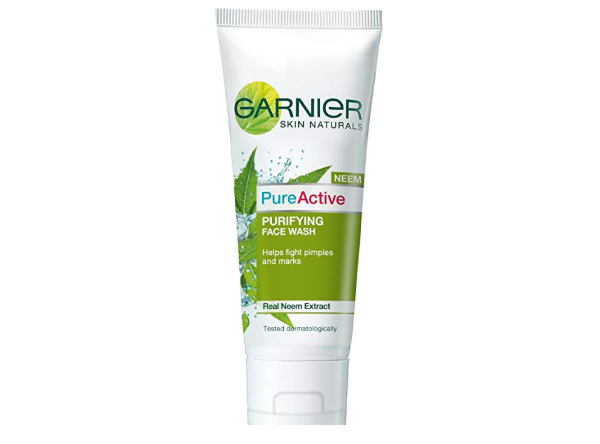 Rich in real neem extract this face wash from Garnier helps to eliminate dark spots and acne. It also contains tea tree oil with fights bacteria, pimplesl and their marks. It is one of the best selling neem face wash in India. 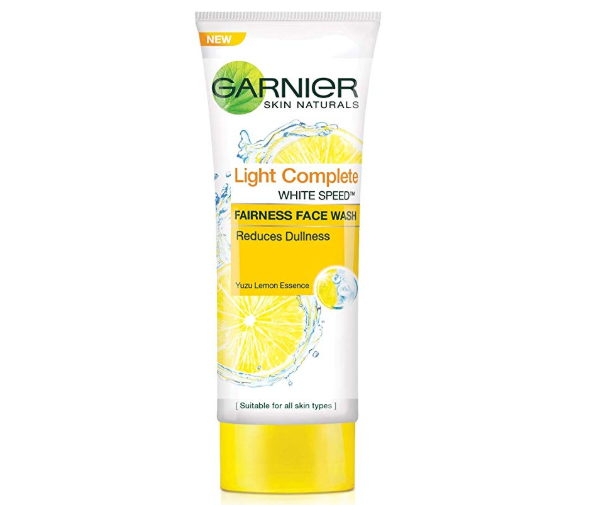 Garnier skin Naturals light complete fairness face wash as the name suggests is a skin whitening facial cleanser. 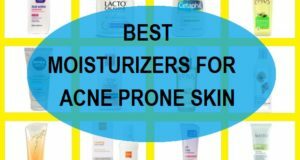 It is basically formulated for all skin types that struggles with dullness and darkness. Why this face wash works the best for dark skin is that it contains lemon essence. Lemon extract are rich in vitamin C that does multiple things for your skin. 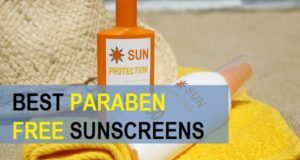 Like it eliminates dark spots, reduces pigmentation and fights the sun tanning during summers. This face wash is enriched in purifying agents for deep clean your skin tone. 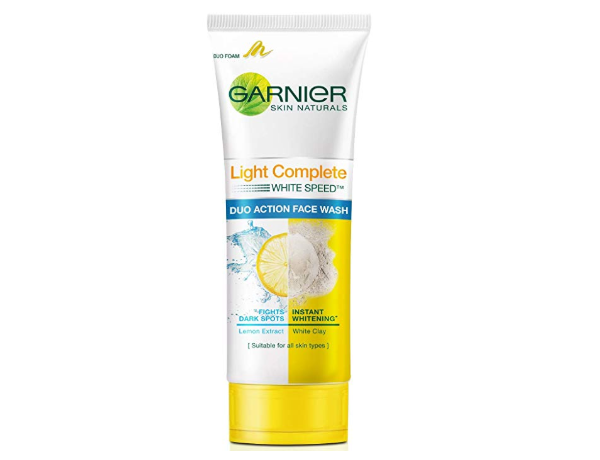 Garnier light complete double action face wash is for dark spots and skin whitening. Do action face wash from Garnier is for men and women for all skin types. It contains lemon extract that reduces the dark spots on your face and The White clay helps to instantly make skin oil free and brighter looking. This is a face wash for people with oily and acne prone skin that is mostly struggling for dullness and dark spots. So these were the best Garnier face wash for men available in India. 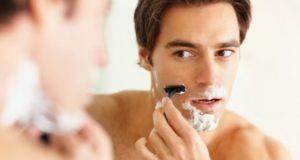 Why face wash is that even women can try while most of them were for men as mentioned. Used any of these face washes from Garnier? For oily skin the like the macha Detox while for pimple prone skin the neem face wash is the best.